How Sabrina Garba Accelerates Genius and helps female leaders shine inside and out. 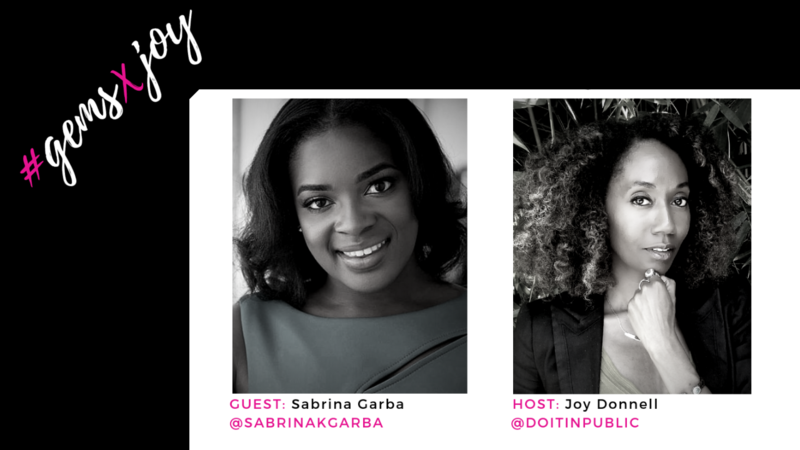 Because we’re never done glowing up, I’m talking with holistic cultural strategist Sabrina Garba about her methods for refining expertise, tracking growth, and positioning yourself as a thought leader with collateral. 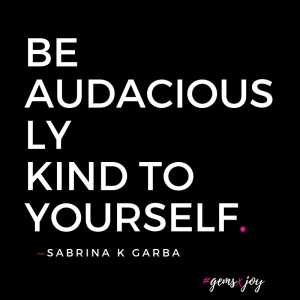 We discuss how Sabrina Garba Accelerates Genius and helps women embrace their innate skills with empathy, diligence and courage. Watch the full interview below. I’m launching #GemsxJoy, new content to help women leaders shine inside and out. I’m exploring the intersections of accelerated knowledge and wellbeing. I’ll be talking to international experts with keys that help changemakers keep growing and glowing. Wanna Tune into #GemsxJoy LIVE? Catch us on my Instagram at @doitinpublic for dates and times. Go Beyond Brand. Become Legacy.